Right before PAX East kicked in last week, Blizzard Entertainment introduced a patch that enabled the Heart for Azeroth for those who created a brand-new level 110 character in the Battle for Azeroth Alpha Test. 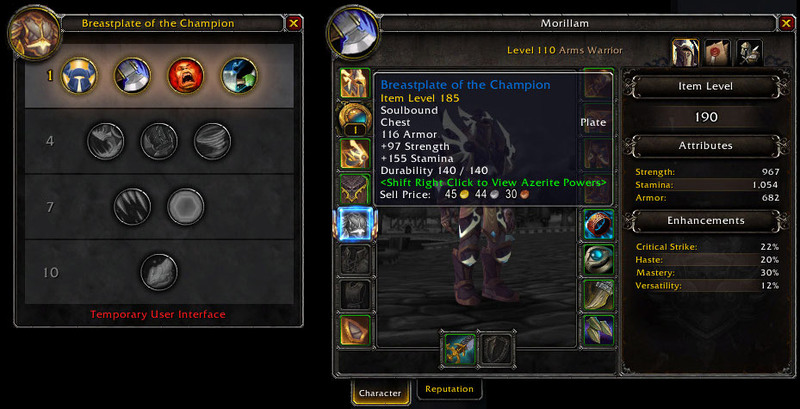 At this moment, only the Heart of Azeroth’s Chest armor is available for testing, and the UI is currently a placeholder. It looks like this when you press the SHIFT key and right-click the Chest item. 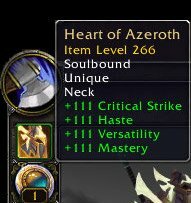 The Heart of Azeroth necklace itself doesn’t have a UI window, except for the number at the bottom of the item which represents the level of your Heart of Azerite. In the image to the right, the level is 1. 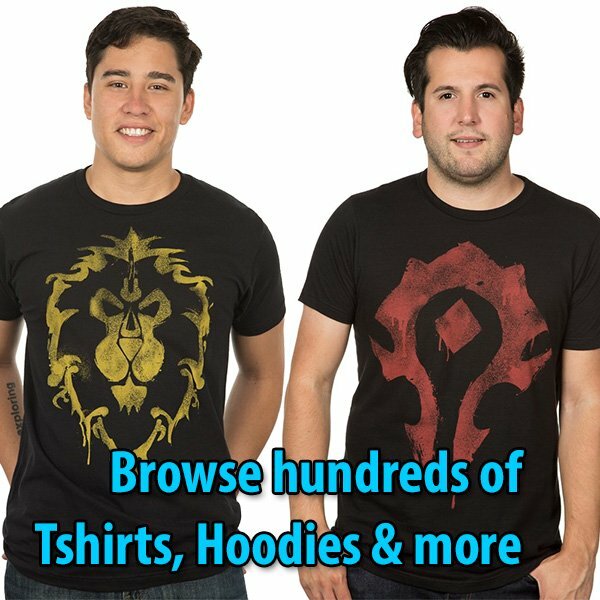 Below you can browse through the traits of each Chest armor per Class. The purple numbers are the number correction for a character level 110 (not shown properly in WoWHead).